Most of us already know that Photoshop is the “industry standard” graphic design program. But that doesn’t necessarily mean that it’s always the best option, and it certainly doesn’t mean that it’s the best value for money. At its retail price of 699 USD / 470 EUR, Photoshop isn’t exactly cheap. And let’s face it, not everyone needs the all of Photoshop’s high-end features. For example, Photoshop has the ability to edit images in CMYK (Cyan, Magenta, Yellow, Black) mode, a feature mainly needed by print designers. If you work exclusively with web design, you may not want to pay extra for this feature. Fortunately, there are more affordable (and sometimes even free) alternatives to Photoshop, and I’ll take a look at some very competent ones in this article. I’ll also include information on whether each program supports CMYK and Photoshop Plugins. All of the included programs support Photoshop-style layers and alpha channel transparency. Corel Draw is the most expensive of Photoshop’s competitors, priced at 399 USD / 270 EUR. Still, there’s a lot included for that price. The Corel Draw Graphics Suite actually contains two major programs: Corel Draw and Corel Photo-Paint. Corel Draw is a vector-based design program similar to Adobe Illustrator (which sells for 599 USD / 402 EUR). Corel Photo-Paint is a bitmap-based design program similar to Photoshop. Both Draw and Photo-Paint enable CMYK editing, so they can be used by print as well as web professionals. When compared to Photoshop, one of the things that I really like about Photo-Paint is its completely customizable interface. Just about everything, including toolbar buttons and even toolbar icons, can be changed to your liking. The Dock, which contains information similar to that found in Photoshop’s various Rollups, can also be moved out of the way with a single click. Another nice feature is the ability to turn plugins on or off while using Photo-Paint. In Photoshop, doing this requires shutting down and restarting. For those working with both print and web design, or who require both vector and bitmap editors, I feel that Corel Draw Graphics Suite is the best of the programs I examined. Paint Shop Pro has been available since 1992. The original version was created by JASC Software and marketed only via the Internet as shareware. 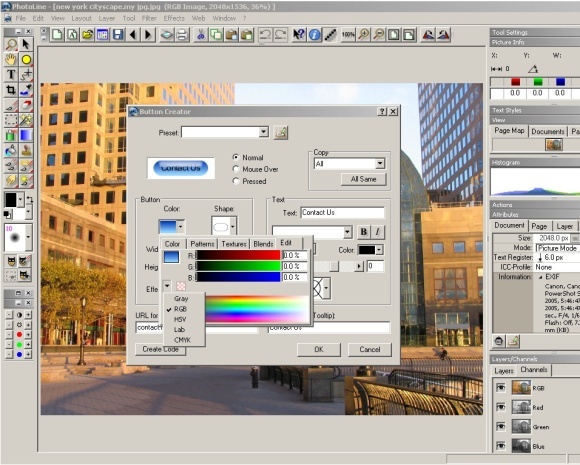 JASC was purchased by Corel in 2004, apparently with the main intention of marketing Paint Shop Pro as a low-cost alternative to the Corel Draw Graphics Suite. 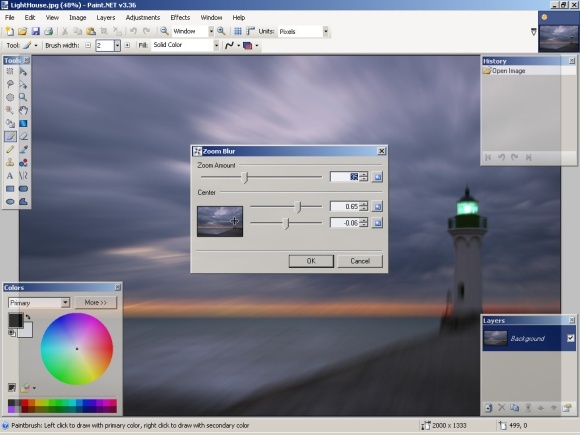 Paint Shop Pro X2 is priced at 39.99 USD / 27.00 EUR. There is also an “Ultimate” version priced at 69.99 USD / 47.00 EUR. The retail Ultimate package includes media recovery software, a content pack, a basic version of Corel Painter, and a 2 GB USB flash drive. Much of Paint Shop Pro is oriented around single-click solutions for common photo editing problems. If you appreciate this type of approach, and you don’t need print design features, Paint Shop Pro may well fit your needs, and do so at a very reasonable price. Also, due to the program’s shareware roots, there are many Paint Shop Pro tutorials and discussion forums available on the Internet, so help is usually very easy to find. Paint Shop Pro has only limited CMYK support, but it does support most Photoshop plugins. PhotoLine is something of a “diamond in the rough” among Photoshop alternatives. Although you’ve probably never heard if it, PhotoLine is an impressive program with many features. My only real issue with PhotoLine is its interface, which is somewhat old school. In Windows, the toolbars have a Windows 95 look, and in OS X, there’s no full-screen mode available, making PhotoLine feel more like an OS 9 program. PhotoLine is priced at 87.50 USD / 59.00 EUR. 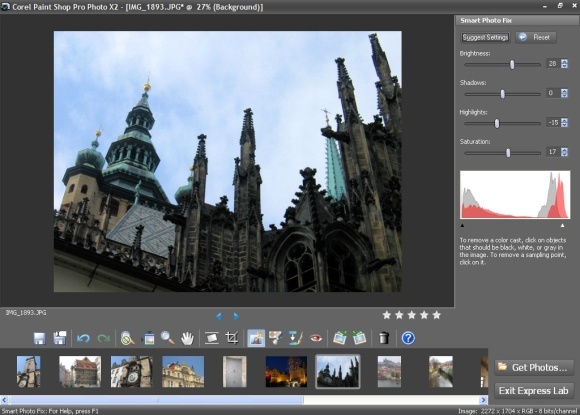 Despite the interface issues, PhotoLine is a powerful program at an affordable price. It operates in both 32-bit and 64-bit mode, which is unusual for a program in this price range. There are several features that will appeal specifically to web designers, such as the Button Creator (see below). The Button Creator includes presets for styles such as Apple’s “Aqua” color gradient, and all the presets are fully customizable. The Effects tools are designed to work well with text, and multiple effects can be applied from a single dialog, making it easy to create the graphical text that’s often needed on web pages. PhotoLine enables full support for CMYK editing, and while Photoshop plugins are supported, you may find yourself having to search Google for some plugin-related files (such as plugin.dll for Windows). You may remember Ulead PhotoImpact from its original name: Aldus PhotoStyler. While Adobe was busy trying to create a CMYK capable version of Photoshop for Windows, Aldus/Ulead had already done so with PhotoStyler. Adobe bought the source code from Ulead and created Photoshop for Windows, and Ulead began the PhotoImpact line, with limited CMYK support. Although Ulead’s non-compete agreement with Adobe has long since expired, Ulead never bothered to return full CMYK editing support to PhotoImpact. More recently, Corel purchased Ulead’s product line, and it remains unclear whether PhotoImpact will continue to be upgraded. PhotoImpact is priced at 69.99 USD / 47.00 EUR. 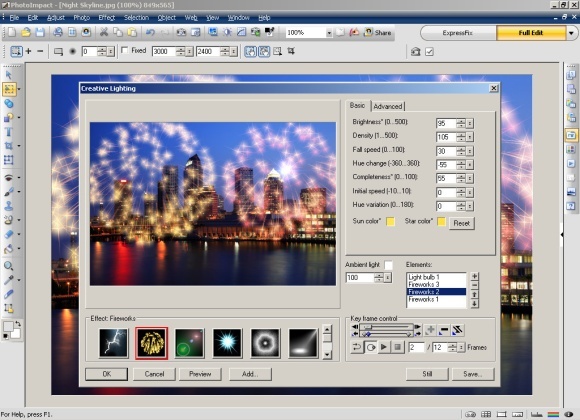 GIMP is a free, open source graphics editor originally developed for Linux. The program has since been ported to both OS X and Windows. GIMP maintenance and development is handled by volunteers. 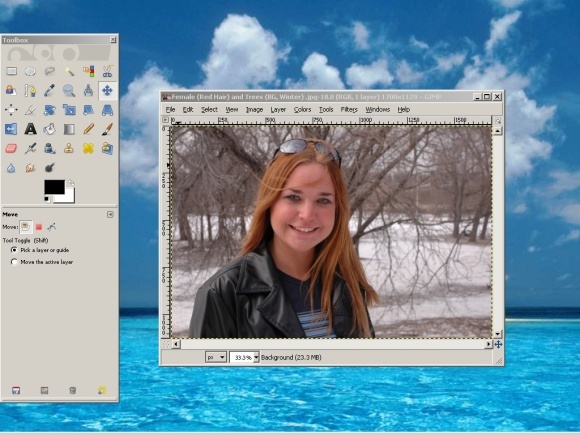 Although GIMP’s developers state that it’s not meant to replicate Photoshop, there’s little doubt that the program was/is intended to bring Photoshop-style graphics power to Linux, and to the open source community. GIMP is a solid editor that can perform functions such as designing web graphics and editing photos. Personally, I’ve found that the learning curve for GIMP is slightly higher than that for other editors. One issue here is the interface, which in Windows is somewhat difficult to manage. For example, it’s easy for windows to overlap each other, and for background windows or the windows desktop to appear. For those willing to take their time with GIMP, and who don’t find the interface distracting, it would likely prove to be a very useful graphics editor. GIMP has limited support for CMYK (via plugins). Photoshop plugins are not supported by default, but a Google search can help you find libraries which enable Photoshop plugins. Paint.NET began as a semester-long programming project at Washington State University. 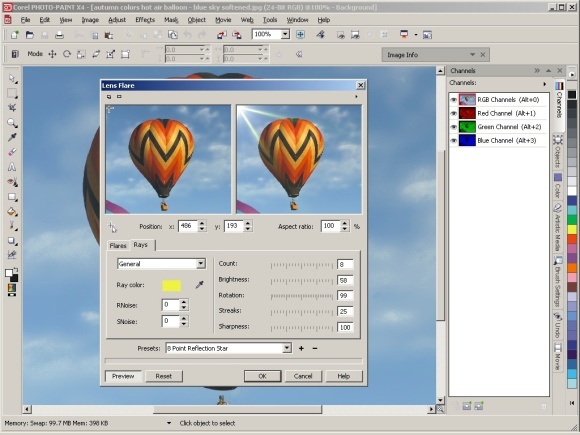 The program was intended by students to be a replacement for the simple Microsoft Paint program, which has shipped with every version of Windows. Although Paint.NET never actually replaced Microsoft Paint, it has been moderately successful as a Windows-only freeware graphics editor. As you might suspect, Paint.NET was built using Microsoft’s .Net framework. Since the program relies so heavily on .Net, it requires less file space than other programs, the current size of the download is just 1.6 MB. Paint.NET comes across as slightly less powerful than GIMP. However, the fact that it was designed for Windows from the start has allowed for an interface that Windows users may find more agreeable. Paint.NET does not support Photoshop plugins, but it does support its own proprietary plugin architecture, and many freeware plugins are available. Paint.NET has limited support for CMYK, via a plugin. Photoshop will continue to be the first choice for those who don’t mind its rather high price tag, and for companies such as design houses. Still, as you can see there are plenty of alternatives out there for any kind of wallet (even for empty wallets, as both GIMP and Paint.NET are free). Depending on your needs, some may even be a better option for you regardless of cost, especially if you don’t need the most advanced features in Photoshop. Was your favorite editor left out? Let us know in the comments. A shame that, apart from GIMP (requires X11 for OSX users still using Tiger) and Photoline (never heard of it), this review is a bit useless for us Mac folks. Of course, the author’s pet favourites (CorelDraw & PhotoImpact) are featured. Unfortunately Photoshop doesn’t cost €470 in Europe but €1000, and €1500 for the extended version. Also GIMP will be single window in the next version so that’s good news for windows users. Gimp, Gimp & more Gimp for me. I’ve been using it since it’s early days and I think it’s brilliant. There are a couple of other programs that I use for effects mainly, photoscape for image compilations and ani-gifs, picasa for the rotational tool and paint shop pro for text effects and easy shadowing. I used to work with corel draw for years ago, I admit it’s a great program and i still use it these days but i really in love with photoshop and it’s number 1 for me. If I were to pick a Photoshop alternative, I’d pick Corel no doubt. Corel is the next best thing when it comes to editing and publishing (specially the new versions).